Looking for a job in Broward County Florida? The following is a directory of Broward County job opportunity websites. For reference, Fort Lauderdale is approximately 25 miles north of Downtown Miami and 42 miles south of West Palm Beach and offers a wide range of employment opportunities. Fort Lauderdale is the 7th largest city in Florida with Broward County being the 16th most populated county in the United States. Fort Lauderdale supports a variety of industries and specialties including healthcare, manufacturing, finance, insurance, real estate, technology, maritime, aerospace and media production. Broward County stands as a hub for international business with vast opportunities for new business ventures. 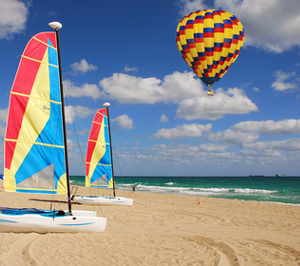 Broward County is a great resource to explore for a wide range of ongoing job openings. The types of positions found on this review date included Accountant, Aviation Business Manager, Carpenter, Wastewater Plant Operator, Elevator Inspector, Engineering Technician, Facilities Maintenance Worker, Grants Administrator, Human Resources, Librarian, Lifeguard, Medical Billing Manager, Mental Health Specialist, Mosquito Control Jobs, Painter, Plans Examiner (Mechanical), Principal Planner, Water and Wastewater Engineering Project Manager, Refrigeration Mechanic, Social Service Contract & Procurement Specialist, Substance Abuse Caseworker, Traffic Operations Superintendent, Traffic Signals Technician, Transit Security Manager, Treatment Plant Superintendent, Utilities Fiscal Manager, and Water Resources Manager. 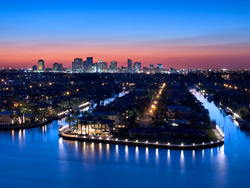 The City of Coconut Creek is nestled between Miami and Palm Beach. The city has been spotlighted as one of the "Best Cities to Live in America" by Money Magazine, and is home to 55,000 residents. Often there are a good number of job postings available. The City of Cooper City is a vibrant community just north of Pembroke Pines, FL. During several review periods the city appeared to have a good selection of vacancy postings for positions in parks and recreation and engineering. The City of Coral Springs offers an excellent selection of job opportunities throughout the year. Positions found on various review dates have included positions such as Police Officer Recruit, School Resource Officer SRO, Water Billing Representative, Associate Planner, Fire Inspector, Emergency Call Taker, Dispatcher, Fire Academy Instructor, Programmer Analyst, Lifeguard, Parks & Recreation Attendant, Neighborhood Services Helper, Desktop Technician, Engineer, Law Enforcement Officer, Law Enforcement Trainee, Mechanic, and more. The City of Dania Beach, Florida, periodically posts open positions when vacancies exist. Monitor their employment portal periodically for upcoming opportunities. The Town of Davie has a steady number of open positions available throughout the year. A sampling of open positions found on several review dates included Wastewater Plant Operator, Plant Operator Trainee, Certified Police Officer, Non-Certified Police Officer, Pool Lifeguard, Recreation Attendant, Risk Manager, Assistant Town Engineer, College Intern Information Technology, Information Technology Director, and School Resource Officer (SRO). Check their site frequently for fresh job openings. An analysis of Deerfield Beach's opportunities reveal high volume hiring periods for seasonal parks and recreation related positions with intermittent full-time hiring periods. Overall the employment outlook is very good. Vacancy announcments have included positions such as Assistant Director of Human Resources, Engineering Project Manager, Maintenance Worker II (Environmental Services), Parks & Recreation Manager II (Aquatics), Budget Intern, Maintenance Worker I - Parks & Recreation, Sanitation Worker, Camp Counselors, and more. The City of Fort Lauderdale, Florida, is a high volume municipal employer that should be continuously monitored. A sampling of positions found included Electrician, Information Technology Security Analyst, Procurement and Contracts Manager, Parks Foreman, Certified Police Officer, Chief Mechanical Inspector, Parking Services Manager, Tennis Instructor, Senior Project Manager, Airport Manager, Parks Maintenance Coordinator, Airport Manager Fort Lauderdale Executive Airport (FXE), Apprentice Municipal Maintenance Worker, Network Support Analyst, Project Manager II, Process Control Engineer, Event Worker, Regional Wastewater Plant Operator II, Non-Certified Police Officer, Assistant Unified Network Administrator, Recreation Worker After School Program, After School Program Director, Sailing Instructor, Pool Lifeguard I, Event Worker, Pool Lifeguard Seasonal, Recreation Worker Youth Sports Official Instructor, Recreation Worker Front Desk Receptionist, Clerical Jobs, Recreation Instructor Bridge Director, and Water Aerobics Instructor. City of Hallandale Beach is not always a 10+ employer, but their great variety of ongoing opportunities make the city an excellent career resource to follow. Through several review periods these vacancies were found: Assistant Director of Public Works (Utilities), Skilled Mechanic, Teacher Aide, Teacher Assistant, Structural Plans Examiner / Building Inspector, Assistant Director of Public Works, Controller, Risk Manager, Public Service Worker, Water Plant Manager, Electrical Inspector, Geographic Information System (GIS) Coordinator, Mechanical Inspector, Ocean Rescue Lifeguard, Plumbing Inspector, Pool Lifeguard, Recreation Aide, Van Driver, and Water Plant Operator Trainee. The City of Hollywood is a beachfront community located in southeastern Broward County about midway between Miami and Fort Lauderdale. The City of Hollywood remains one of Broward County's top employers, receiving a nearly continuous 10+ job volume score at any given time. A sampling of positions recorded include Building Inspector, Building Plans Examiner, Certified Police Officer, Crime Scene Technician, Engineering Technician, Intake Officer, Mechanical Inspector, Non-Certified Police Officer, Park Ranger Coordinator, Park Ranger I, Plumbing Inspector, Project Manager, School Resource Officer, Technical Theatre Specialist, and Victims Advocate. The City of Lauderdale Lakes employs nearly 70 full-time and 25 part-time employees, augmented by a team of Broward Sheriff's Office personnel for law enforcement and fire rescue services. Lauderhill, home to nearly 70,000 residents, is a thriving community adjacent to the northern portions of Sunrise and Plantation. Lauderhill is an excellent employer to visit frequently because of their high volume of advertised positions. Postings found have included Crime Scene Technician, Admin positions, Accounting Clerk I, Mechanic II, Pool Manager, Network Programmer Technician, Support Service Aide I, Commission Aide, Parks and Recreation Supervisor, Utilities Superintendent - Stormwater Division (DEES), Maintenance Worker II (PALS), Police Officer, Maintenance Worker I (PALS), Maintenance Worker I (DEES), Plant Operator I, Code Enforcement Officer I, Administrative Clerk, Maintenance Worker I (DEES) Part-time, Lifeguard I, Recreation Leader, and Bus Driver. The City of Lighthouse Point periodically has vacancies available. On two separate review periods the City of Margate had been hiring for the following positions: Recreation Programmer, Utility Technician, Police Officer, Service Worker, Utility Operations Manager, Recreation Supervisor, Cashier, Lifeguard, Junior Lifeguard, Recreation Attendant, Utility Operations Manager, Service Worker, and Utility Technician. Miramar (Motto: "Beauty and Progress") is a great career source with over 122,000 residents that call this thriving southern Broward city their home. On most reviews the city was observed well above the 10+ mark offering an array of opportunities. Oakland Park's government provides diverse and effective City services to a community that consists of approximately 43,000 residents. Parkland is a diverse community of 25,000, and the City provides a variety of services for these citizens. Openings you may find with the city include, but are not limited to: Structural Inspector, Structural Plans Examiner, and Hiring Summer Camp Jobs: Counselors, Site Directors, Trainees, City Clerk, Crew Leader, Crossing Guard, Electrical Inspector, Electrical Plans Examiner, and Maintenance Worker. Pembroke Pines is unique among most cities reviewed on Worklooker because they tend to advertise an unusual number of teaching jobs and teaching support positions when compared to other cities in the region. For exammple, the following opportunities were found on three separate review dates: Certified Teachers for Special Populations, Art Teacher, Certified Science Teacher, Lifeguards, Recreation Leader, Site Supervisor, Soccer Specialist, Unit Leader, Water Safety Instructor W.S.I., Preschool Teacher Aide, and Teacher Assistant. The City of Plantation is rich in amenities, has a competitive business environment, and maintains beautifully landscaped communities. The volume of career opportunities fluctuates frequently throughout the year for the City of Plantation. Opportunities that have been recorded include Public Safety Communications, Data Base Developer, Tennis Court Attendant, Structural Inspector, Police Property Manager, Will Call Facility Attendand, Maintenance Worker I, Water Distribution Technician, Utility Plant Operator Assistant, Maintenance Worker, Fire Department Plans Examiner, Finance Director, Public Safety Dispatcher, Public Safety Dispatcher Trainee, Structural Inspector, Office Assistant, Lifeguard, Public Safety Dispatcher, and Volunteer Firefighter. Pompano Beach is a progressive, modern city, that offers an environment of comfort and enjoyment to its 100,000+ residents. Don't miss the city's fresh array of ongoing job opportunities and recruitments. Sunrise always surpasses expectations in the number, quality, and diversity of the careers it offers. A sampling of positions found on this review date included Utility Electrician, Utility Serviceperson, Billing Specialist (Fire), Building Custodian, Engineering Inspector, ​Gas Serviceperson (Construction), GIS Specialist, Engineering Aide, Fire Inspector, Project Manager, Utility Operator, Seasonal Lifeguard I, Seasonal Lifeguard, Recreation Counselor, Seasonal Recreation Counselor, Recreation Leader, Utility Mechanic I (Plant), Engineer II, Building Inspector, Plans Examiner Mechanical, Plans Examiner Electrical, Gas Marketing & Administration Manager, and Police Department Systems Administrator.. The City of Tamarac hosts a business-friendly environment, and remains a focal point for prime commercial and residential development. Openings you may find include Bus Driver, Fire Inspector Plan Examiner, Field Technician, Office Specialist, Customer Service Representative - Cashier, Mechanic II - Utilities, Technical Support Representative I, Public Information Coordinator, Rec Leader II Seasonal, Information and Referral Specialist, Human Resources Support Specialist I, Records Clerk, Records Coordinator, Electrical Inspector, Groundskeeper, Water System Operator I, Bus Driver Scheduler, Electrical Inspector - Plans Examiner, and Water Plant Superintendent. The City of West Park periodically hires. On this review date there was a PDF file with job announcements on their employment / HR page. During various periods, Wilton Manors hires for a moderate number of positions. Opportunities have included Librarian, Permit Technician, Recreation Leader I, Police Officer, Police Officer, and Fire Chief - Construction Services Manager. Ft. Lauderdale Beach - Broward County, FL. City of Ft. Lauderdale skyline. Holy Cross Hospital Fort Lauderdale has 571 certified beds with approximately 2,300 employees and is associated with Mercy Hospital in Miami, It is a member of Catholic Health East. Broward Health is Broward County's largest healthcare services provider with more than 8,000 staff, physicians, and nurses. Westside Regional Medical Center and Plantation General Hospital are a part of HCA. On their search page you will need to choose the Palm Beach / Miami region to show listings from WRMC. Featured opportunities found included HIM Clerk PRN, Director of Infection Control, ED Manager, RN Part Time Nights PCU, Operating Room Aide/Ordery, Administrative Supervisor, Certified CVOR Tech, Registered Nurse RN OR, RN ICU PRN, Registered Nurse RN CVICU, RN Admin/Discharge RN PRN, Full-time ER RN, Charge RN Surgical Orthopedics, RN PCU PRN, Registered Nurse RN Telemetry, Registered Nurse / RN - Cardiovascular ICU / CVICU. Encompass Health Rehabilitation Hospital is a 126-bed inpatient rehabilitation hospital that offers comprehensive inpatient and outpatient rehabilitation services and home health care designed to return patients to leading active and independent lives. Florida Medical Center merged with North Shore Medical Center and is now Florida Medical Center, a campus of North Shore, a 459-bed acute care medical-surgical facility. Memorial Healthcare System has numerous facilities throughout Broward County with an ongoing need for healthcare professionals from a variety of specialties. Facilities include Memorial Regional Hospital, Memorial Regional Hospital South, Joe DiMaggio Children's Hospital, Memorial Hospital West, Memorial Hospital Miramar, Memorial Hospital Pembroke, and more. This is a great resource to follow. Worklooker's directory provides a variety of employers and job resources for job seekers in the nursing field. Broward County Public Schools is the nation's 6th largest school district with 15,716 teachers and 37,482 full-time employees. Featured employment opportunities often include positions like ESE Exceptional Student Education Pre-School Specialized Teacher, Math Teacher, Computer Programming Teacher, Special Education Teacher, Cafeteria Aide, Substitute Teacher, School Bus Driver / School Bus Operator, School Principal, Teacher Assistant, School Custodian / Custodial Jobs, School Food Service Worker, School Counselor, Child Care Monitor, Certified Classroom Assistant, Behavioral Technician, Security Specialist, Clerk Typist, Micro-Computer Technical Specialist, School Secretary, and more. Charter Schools USA (CSUSA) creates and operates high quality schools with an unwavering dedication to student achievement and an unyielding commitment to ethical and sound business practices. 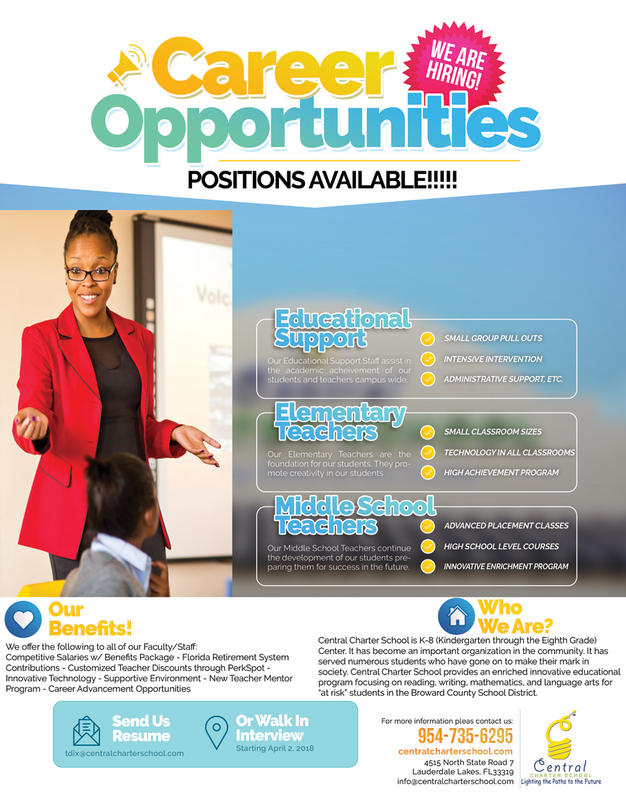 Jobs found may include positions such as Administrative Assistant, Instructional Aide, Accounts Payable Specialist, 3rd Grade Teacher, Part Time Night Custodian, Intervention Specialist, Elementary Permanent Substitute, Finance Manager, Insurance and Claims Administrator, Accounts Payable Specialist, and more. Ben Gamla was the first Hebrew-English Charter School in the United States. The first Ben Gamla opened in Hollywood in 2007. There are now schools in Hollywood, Plantation, Boynton Beach, and Kendall. During review Ben Gamla Charter School South was hiring Substitute Teachers K-12. Broward College was the first and remains the largest institution of higher education in Broward County, and is ranked as one of the top 10 community colleges in the U.S. by the prestigious Washington, D.C.-based Aspen Institute. On this review date there was a high volume of faculty and adjunct teaching opportunities, administration, and professional technical staff positions available. Broward College employs more than 2,000 faculty and staff. NSU is a nonprofit, independent research university with a main campus in Fort Lauderdale, Florida offering undergraduate, graduate and professional degrees. This is a great resource to follow. Featured listings found by Worklooker during this review included Assistant Volleyball Coach, Budget Analyst, Technology Support Engineer, Nurse Practitioner (Part Time), Administrative Assistant, Database Administrator III, Early Childhood Master Teacher Specialist, Certified Coding Specialist, Assistant Director of Student Services, Public Safety Coordinator, Network Engineer II, Department of Pharmacy Practice Clinical Assistant Professor, Programmer Analyst, Accounting Specialist, HVAC Technician, Maintenance Technician, Assistant Professor, Payroll Analyst, Museum of Art Faculty Temporary, Research Assistant I, and Summer Arts Institute Junior Instructor. Florida Atlantic University had a number of listings at the Davie campus. Keiser university had a number of vacancies posted for instructional positions, admissions, clerical and other support staff positions. The Art Institute of Fort Lauderdale has a combined staff and faculty of approximately 378 employees. In order to become a Police Officer or Deputy Sheriff in Broward County you must first meet Florida's certification requirements determined by CJSTC/FDLE. Basically what this means is that you must first complete a Police Academy recognized by CJSTC/FDLE and then receive a passing score on the Florida Law Enforcement Certification Exam once you have graduated from your academy training. Unlike many other police academies in Florida, the Broward Police Academy at Broward College claims to only accept applicants to the academy that have already secured an employment agreement from an agency (fully paid tuition and salary while attending). Some recruits enter the academy without any agreement and pay their own tuition but this is less common according to their information. Using the links here, under "Broward Law Enforcement Agencies," it's recommended you establish contact with specific agencies that interest you to determine if they are hiring and their requirements. Simultaneously, you should register with the Testing Center to setup testing dates and do several ride-alongs while you wait. Note: It's highly recommended you perform several "Ride-Alongs" with various police departments in your area before any interview and before committing to any formal employment agreement. This will help you get a feel for police work and the procedures of various departments. Not all departments are created equal and you would be wise to shop around. Broward County Sheriff's Office employs over 2,800 sworn Deputy Sheriffs and several thousand support related positions. The Operations Division of the Fort Lauderdale Police Department maintains approximately 367 sworn Police Officers including supervisory positions and 42 support staff positions. The Pembroke Pines Police Department offers numerous opportunities for professional development and advancement opportunities for individuals seeking Police Officer careers. The Hollywood Police Department employs 337 Police Officers and 263 civilian support personnel. There are 202 Sworn and 100 Civilian employees of the Coral Springs Police Department. The Fort Lauderdale Craigslist jobs page had a number of opportunities posted. Make sure you are dealing with reputable companies before applying. There are 4 ways to apply for jobs at the airport: 1. Open positions are generally posted on Broward County's website. 2. The Aviation Department periodically lists BCAD positions also indicated through the County Site 3. Apply directly to airport tenants that have businesses at the airport. 4. Looking for a TSA job ? Transportation Safety Administration TSA Jobs at the airport periodically become available. Learn how to apply for TSA jobs. Positions may include Transportation Security Officer (TSO) and other specialties. This is set to list positions for Broward County. Make sure you expand all categories so that you can see all positions at-a-glance. Some positions are listed as "any location in Florida". This does not guarantee an opening in Broward County. This site has a job openings e-mail notification feature that's useful.